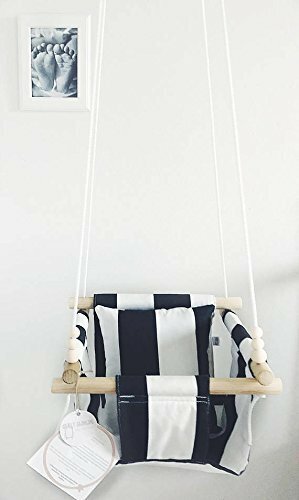 Handmade fabric swing, suitable both indoors and outdoors Ideal for babies old enough to sit unsupported CPSIA compliant, safety tested Includes all necessary hardware to hang it Swing comes completely assembled Perfect for the nursery or outdoor space Makes a super unique baby shower gift or first birthday gift! If you have any questions about this product by Sweet Swinging, contact us by completing and submitting the form below. If you are looking for a specif part number, please include it with your message.